Christmas is probably the most hectic time of the year. 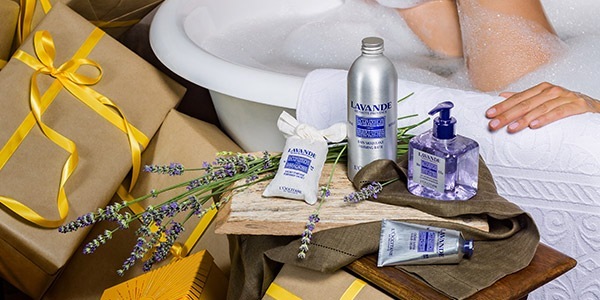 Offer a pure moment of relaxation with our indulgent bath and body gift sets. Be sure to delight those who need to unwind and soothe the stress away! Make sure the water is warm enough and subtly scented with relaxing bath salts or a delicate bath oil. Dim the lights and make your bathroom a haven of calm with your favorite scented candles. Make some time for an intensive face or hair care to release inner tensions. How to relax with a self-massage? Nothing's better for relaxation than a good massage. In particular, if you're standing all day long or wearing high-heel shoes daily, L'Occitane's spa experts share some easy techniques to relieve your legs.